We are pleased to welcome Crises Control as the latest member of our partnership programme. Crises Control has recently been winning a number of awards for their mass notification platform designed for business continuity. For the Continuity Forum Crises Control is a particularly suitable partner at this time as we are stepping our work across the SME sector. Crises Control share our commitment to work with the SME sector to improve the quality and capabilities of Business Continuity Programmes in smaller businesses. This is clearly evidenced by a number of unique features and pricing that highly attractive for the SME sector in the solutions provided. As part of the research programme we will be undertaking new research surveying attitudes and issues in SME firms (and talking with connected stakeholders) across the sector to better understand the barriers to planning and what the top priorities really need to be. 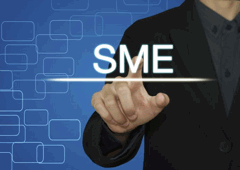 "We are delighted to have the support of Crises Control in our latest major study that is working to improve SME Business Continuity by identify the tools and resources really needed by SME's to develop better, more reliable resilience". "Improving the quality of BCM planning across the SME sector would help transform the resilience of half of the UK economy and deliver tremendous financial and societal benefits". "Time is precious in businesses of all sizes; our aim is that this research will identify common obstacles and barriers and produce useable and useful recommendations on the actions and resources that are needed to cost and build resilience within the SME sector". "I am delighted that we are able to take advantage of the expertise of the Continuity Forum to reach out to the SME sector and research the views on the need for Business Continuity measures. We know that every business is at risk from disruption events and that small businesses are at greater risk than larger ones of going under as a result"! "We want to find out how SMEs themselves view this challenge and what they see as the possible benefits that technology solutions can bring to this task. Continuity Forum are just the right people to help us do this". If you would like know more about the research programme or get involved please get in touch here! If you would like to know more about the award winning solutions from Crises Control click here!